School is officially back here in the Philippines, and the first three weeks so far have been crowded in terms of schedule, but who knew Senior Year could be very fun. It's because of school that new posts would take much more time to finish than before, which technically happened last year when I was a Ninth Grader. When I got back home from school last Friday, Mom and Dad told my sister and I that we will be going to SM Sta. Rosa to buy some school supplies. A visit to SM will never be complete without watching a movie at SM Cinema , especially for me. So I asked if we can finally watch Finding Dory which has been showing for several weeks already. My Mom said okay if we finish our main purpose early. It didn't actually take long to find myself comfortably seating inside the movie house. I had high expectations of this film, as apart from the fact that Finding Nemo is one of my favorite animated flicks, the predecessor is an overall great film to live up to. Besides, a sequel to a movie which can basically stand on its own two feet seems unnecessary, and bold. Does the movie have enough lasting impression to fill in the footsteps of its predecessor? Let's find out in Dateline Movies' review of the colorful and funny Finding Dory. Since this movie is still currently showing in cinemas, be wary that there will be major spoilers in this review! Also, you might be asking, "What about the Best TV Shows Countdown?". Well, the answer to that is, "I have writer's block". Yep, I basically ran out of things to type. It's almost finish, don't worry. Anyway, let's get to the review. 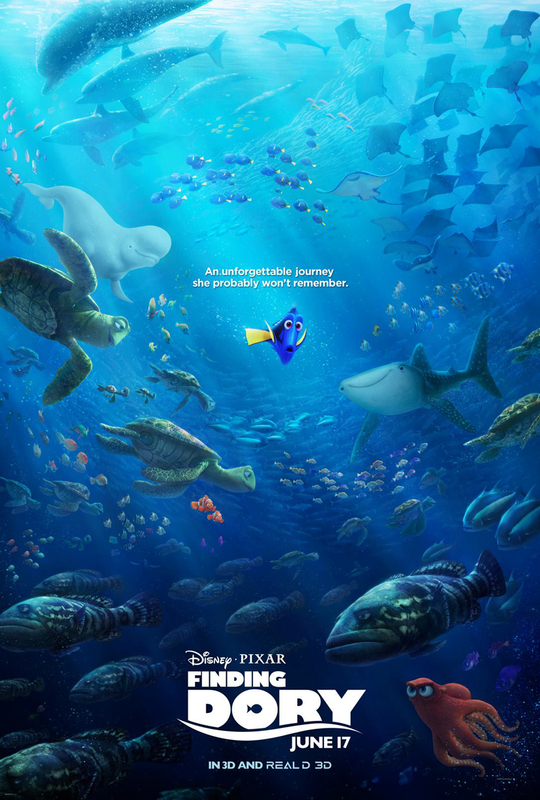 After Finding Nemo, played by Rolence (Cicero in Winter), in the first movie, Dory, played by DeGeneres (EDtv) decides to move in the same area as Marlin, played by Brooks (Drive) and Nemo, given that she doesn't have a proper home to live in, a new adventure involving these three characters was expected. While there, Dory keeps getting vague memories of her childhood, and a few of them linked to her long-lost parents, Jenny, played by Keaton (Man of Steel), and Charlie, played by Levy (Over The Hedge). Having remembered where she and her parents once lived, Dory sets-out on an adventure to the Marine Life Institute in California, but Dory is captured by the personnel of the facility. Inside, Dory goes on an adventure across the many aquatic exhibits of the area, while encountering some of the animals living there. These faces include her nearsighted childhood best friend and also a whale shark named Destiny, played by Olson (The Heat) and Destiny's beluga whale friend Bailey, played by Burrell (Mr. Peabody and Sherman). 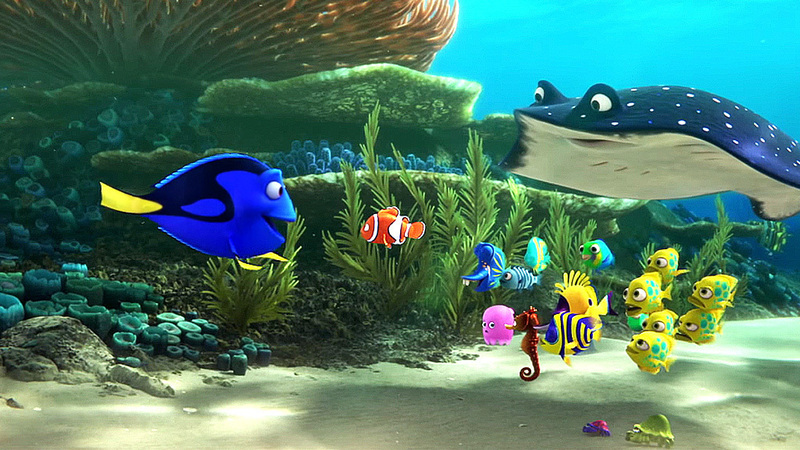 During her capture, Dory encounters an octopus who can camouflage named Hank, played by O' Neil (Modern Family). Hank agrees to aid Dory in her search for her parents, in exchange for her tag, which can get Hank to an isolated paradise in Cleveland. Meanwhile, Marlin and Nemo trek through the aquariums themselves, with not so much help from two sea lions, Fluke, played by Elba, and Rudder, played by West (Both of whom appeared in The Wire). While dodging a variety of dangers, will Dory be able to reconnect with her long-forgotten past? It's a Disney and Pixar collaboration. Of course the voice acting is incredibly decent. They would never leave the voice acting section of their movies unchecked. Well, sometimes at least (Ahem, Cars 2, ahem.). What I don't expect though is that Ellen DeGeneres could actually carry a movie all on her own. While I don't get to watch her talk show, or any of her other movies except Finding Nemo, it is in this movie that we really get to hear her perform in her full potential. DeGeneres's cheery and energetic public image translates really well here, seeing that there really is more to Dory than meets the eye. 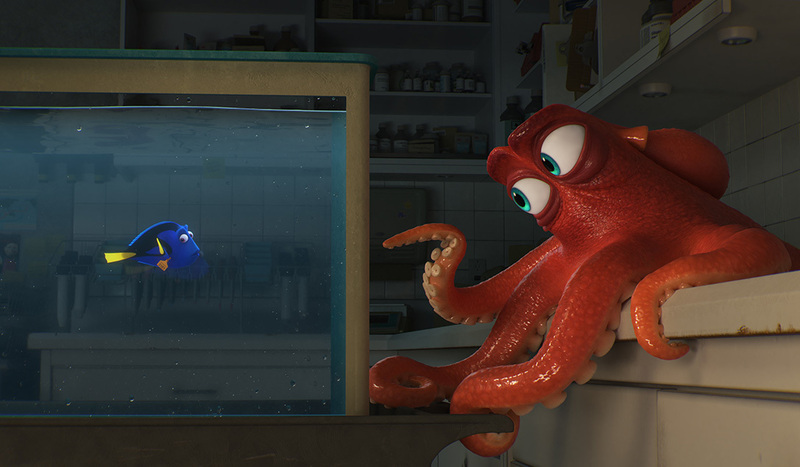 Thanks to DeGeneres' astounding performance, Dory's whimsical nature is more than just comedic relief. 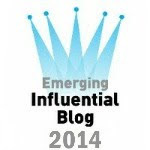 Rather, she also serves as a good role model for our young viewers, as Dory always reminds us to "just keep swimming". Man, I still can't get that song out of my head. Last year, while I was busy watching reruns of The X-Files, in anticipation for their miniseries, I also got the chance to watch a couple of Married... with Children episodes. I have to say, Ed O' Neil makes a hilarious dysfunctional family man. I did get to see him in his current show, Modern Family, which also featured him co-starring with Ty Burrell. But during that time, I still haven't watched any of his works. O' Neil's voice, which apparently I couldn't recognize immediately without his trademark tone, breathes life into what would have become a stereotypical character. While Hank is pretty much the "bad guy with conscience" that we have all seen before in any other movie, but what lacks in originality makes-up in wit and charm. O' Neil's strong presence, combined with Hank's pessimistic attitude, makes a great foil to our titular heroine's optimistic attitude, and a memorable one indeed. On returning cast mate Albert Brooks, who also voiced Environmental Protection Agency head Russ Cargill in The Simpsons Movie, given that he is a frequent guess star in the show, Brooks still manages to recapture the same paranoid charm of Marlin. However, there are some instances wherein I could feel that Brooks is tired, given his age. Regardless, Brooks's Marlin has offered a couple of funny scenes, especially with the parts involving Becky, a common loon lacking in common sense. I'll have to summarize this section, which discusses our views on the rest of the voice cast, because apart from avoiding a very lengthy post, much of the other cast mates have extremely limited dialogue and screen time. Hayden Rolence does a decent job as Nemo, but the inner child in me still misses Alexander Gould. I can't even see the difference between the two actors' takes on Nemo. Idris Elba and Dominic West, two talented and mostly underused actors, gives us a good laugh as their characters continuously berate their neighboring sea lion, Gerald. Kaitlin Olsen's Destiny is an interesting character, and her energetic personality easily meshes well with Ty Burrell's Bailey. Eugene Levy and Diane Keaton, despite basically acting the same character from their previous movies wherein they played as parents, still delivers some emotional moments through Dory's flashbacks. Speaking of Alexander Gould, he did make a voice cameo near the ending as a human being according to Wikipedia. Besides memorable voice acting and tear-inducing stories, what is the other thing that Disney and Pixar are always good at? Colorfully flawless and undeniably realistic animation. It is like looking through a painting with animation. That sounds weirder said than typed, doesn't it? But it is beautiful as what a Disney and Pixar movie would always look. The colors are bright and eye-catching, and the extremely polished lighting and animation makes this a very mind-blowing and jaw-dropping cinematic experience. The best scene which featured the studios' trademark animation is when Dory and Hank make it to the Open Ocean Exhibit. When Dory and Hank accidentally make it to a play area for children, the duo must escape those pesky kids before they are poked to death. What happens next is a beautifully animated chase scene, which keeps your inner child at the edge of his or her seat. 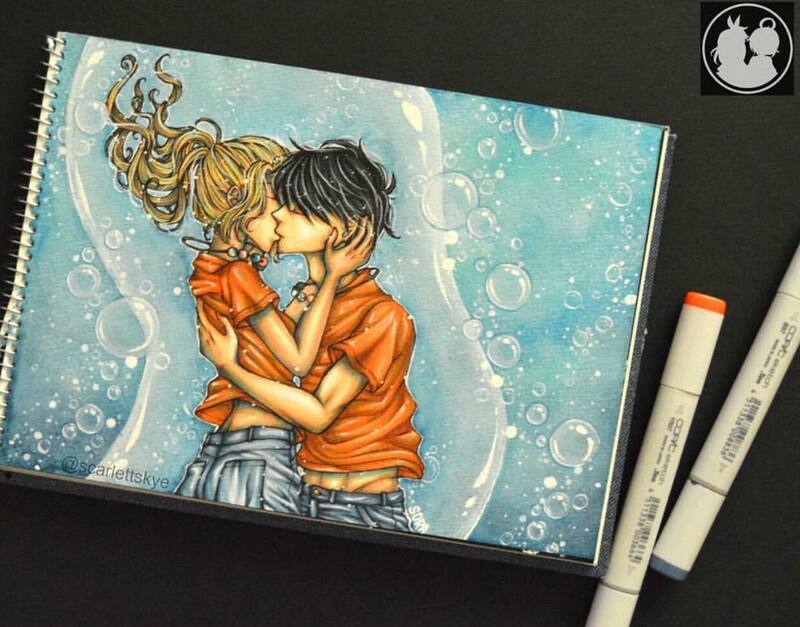 The bright colors and the realistic in a cartoonish fashion is downright amazing to look at. This part, and the next, contains major spoilers! If you cannot handle spoilers, "just keep scrolling". While there is decent animation and memorable voice performances, there is somewhat of an incomplete story that can possibly leave viewers feeling hollow. The movie as a whole is still enjoyable, but the main problem with the story is that it might disappoint longtime enthusiasts and fans who expect to have a good cry. 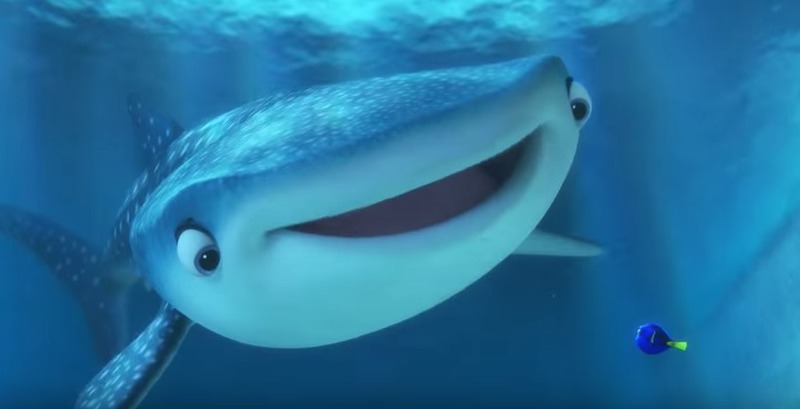 Despite the wide array of thought-provoking themes, which obviously revolves mostly around environmentalism, Finding Dory puts much more emphasis on humor. Their most emotional scenes, which are flashbacks about Dory's childhood, didn't really leave much of an impact on my eyes. I'm not going to lie, the jokes here will really tickle your funny bone, and it is certainly enough to keep you entertained though, even if the lack of emotional depth would bother some moviegoers. Another concern that got to me was the minimal screen time for the new characters, especially for Idris Elba's Fluke and Dominic West's Rudder. It might be just me, because these two are great performers, but you've got to admit that they could have been more than just cameos. Aside from a handful of memorable jokes and scenes, all these new characters act more like extras compared to characters. However, despite their lack of screen time, the movie does a mighty fine job at keeping the characters as funny and witty as possible. As I said before, West and Elba's characters should have at least tagged along for the adventure, but their single scene, which involved Marlin and Nemo seeing passage to the Marine Life Institute, with the two sea lions offering a bird named Becky to get them in, followed by manipulating Gerald, was really funny. The same goes for Bailey and Destiny, whose small funny moments made their appearances in the movie one of the many highlights of the movie. The latter two's most memorable moment. Now that I think about it, it might have been okay if these characters just got the amount of screen time that they had here, as they seemed to be developed enough in the film. But would it really hurt to give them some more lines or scenes? After a series of unfortunate events (no, it's not a nod or anything, if that's what you're thinking) all throughout the Marine Life Institute, Dory finally reunites with her long lost family by the sea. Dory finds-out from other fishes of her kind that "regal blue tangs" as they are scientifically called, never came back from quarantine. 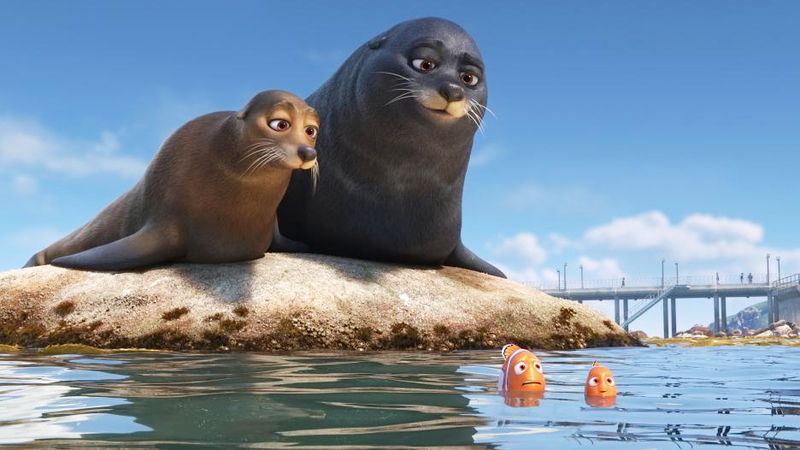 After Hank, Nemo and Marlin are captured, Dory accidentally makes her way to the sea, where her parents are waiting for her. We learn that her parents are scattering purple shells, which act as activators for Dory's short-term memory, all throughout the ocean floor. Their reunion was really heartwarming, but as mentioned again it is not entirely tear-inducing, but still a very good quiet moment. The climactic chase scene felt a little bit rushed. Immediately after the reunion, Dory, with help from her parents, Destiny and Bailey, makes her way to the truck en route to Cleveland. A set of hilarious scenarios occur as Dory, for some inexplicable reason, communicates with a group of beavers to cause traffic and rescue her friends. After being chased by the police, the entire sequence becomes all the more brilliant, when Dory crashes the truck into the sea, and then, Louis Armstrong's hit song, "What a Wonderful World" plays in the background, followed by some narration by Sigourney Weaver, playing herself, about some exposition on sea life. It is wonderful, and while it may not easily give you energy, the jokes are pretty funny. By the end, we get to see all characters, except for Rudder and Fluke, back to where our heroes live. While it doesn't end in any sort of beat, it does conclude in a very happy tone. Also, don't forget to stay until after the credits. We had to leave early ourselves but I found-out that there was a post-credits scene. I won't say what it is, but they say it is a very good scene. Had we viewed this scene, it would have fulfilled my expectation of seeing the aquarium escapees, including Willem Dafoe's character Gil,making an appearance in the movie. The movie fulfilled at least half of my expectations. In terms of originality, this movie doesn't have that much of it, as it featured fairly familiar characters and backstories. The premise of searching for one's parent has been beaten to death so many times already that I probably got tired of watching that revolve around characters searching for their families. For example, Hank is, as mentioned a while back, seems to be just some foil for the main character. However, underneath these somewhat rushed and albeit buggy concerns is a film with the filmmakers' heart in the right place. 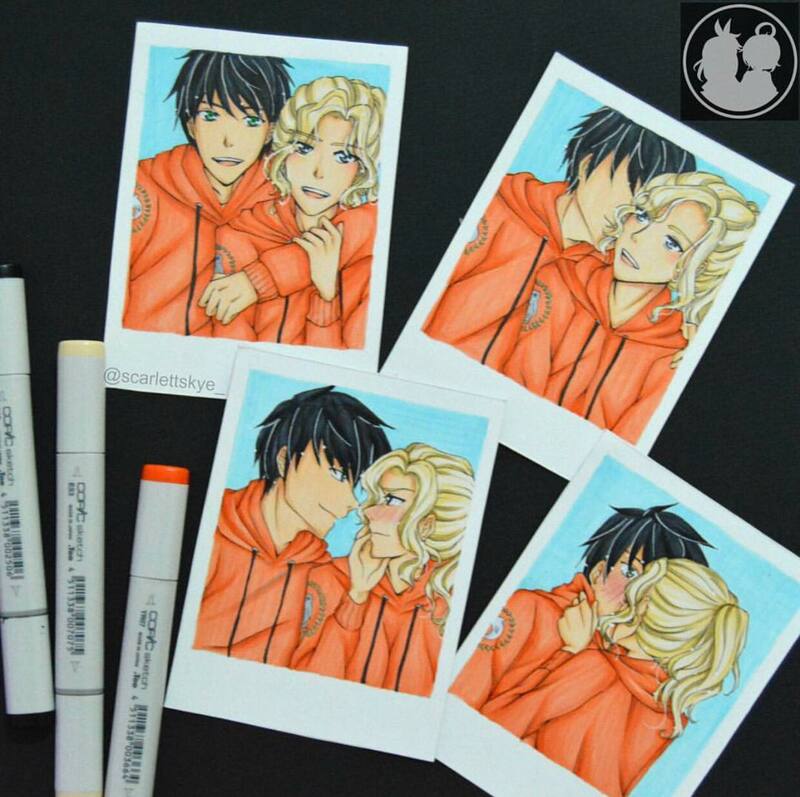 I still can't shake the feeling that everything was rushed, though. While there is a surprising absence of tears, this movie more than makes-up with enough humor and warmth to keep the audience entertained. As such, this movie is still a huge recommendation. Finding Dory finds our beloved memory-deficient blue fish, and her audience, in an adventure filled with perfectly blended color and joy, but the lack of true emotional resonance and groundbreaking material might bother some viewers. Well, there you have it, our review of Finding Dory. To end our movie review for the day, and our first post for the month of July, take a look at Disney's new and somewhat weird recap of Finding Nemo, as told through Emoji? That sounds weird, but it's still great to watch to refresh our memory of the original story. Trust us, the animation is cute!  With that, I hope you all stay tuned for more Dateline Movies, although we might take a while.